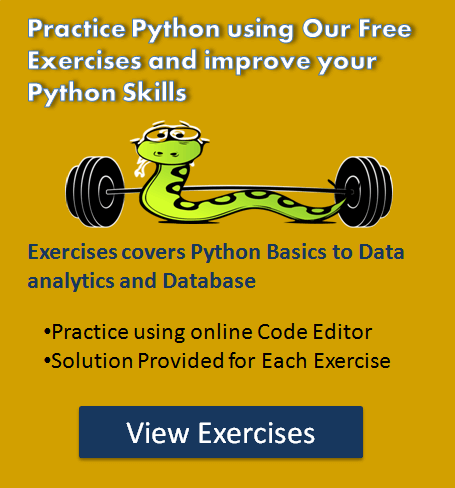 This data structure exercise is for beginners to understand and practice data structure in Python. 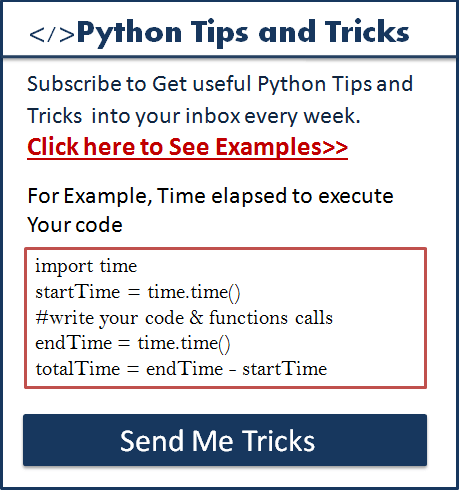 Practice List, Set, Dictionary, and Tuple in Python. As you know data structure is widely to hold any data. To perform any programming tasks in Python, good knowledge of data structure is a must. When you complete each question, you get more familiar with List, Dictionary, set, and tuple. What included in this data structure exercise? Question covers list manipulation, dictionary, set and tuple methods. The solution provided for each question. To solve each question, you need to learn the specific data structure topic. Exercise Question 1: Given a two list. Create a third list by picking an odd-index element from the first list and even index elements from second. Expected Outcome: [54, 44, 79, 27, 91, 41, 79].